The present study aimed to determine the impact of colon 26 adenocarcinoma (C26)-induced cancer cachexia on skeletal muscle mitochondrial respiration and content. Twelve male CD2F1 mice were injected with C26-cells (tumor bearing (TB) group), whereas 12 age-matched mice received PBS vehicle injection (non-tumor bearing (N-TB) group). Mitochondrial respiration was studied in saponin-permeabilized soleus myofibers. TB mice showed lower body weight (~ 20%) as well as lower soleus, gastrocnemius-plantaris complex and tibialis anterior masses versus N-TB mice (p < 0.05). Soleus maximal state III mitochondrial respiration was 20% lower (10 mM glutamate, 5 mM malate, 5 mM adenosine diphosphate; p < 0.05) and acceptor control ratio (state III/state II) was 15% lower in the TB vs. N-TB (p < 0.05), with the latter suggesting uncoupling. Lower VDAC protein content suggested reduced mitochondrial content in TB versus N-TB (p < 0.05). 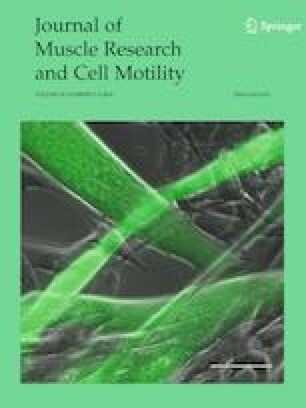 Skeletal muscle in C26-induced cancer cachexia exhibits reductions in: maximal mitochondrial respiration capacity, mitochondrial coupling and mitochondrial content. This work was supported by funds provided by the University of Florida Cancer Center (to RTH) and the National Institute of Arthritis, Musculoskeletal and Skin Diseases (R01AR060209 to ARJ). Daria Neyroud was supported by the Swiss National Science Foundation (P2GEP3_168384). The authors greatly thank Yana Konokhova for her help during tissue harvest.